After spending a decade caring for her husband who died from younger-onset Alzheimer's disease, Barbra Cohn offers a spiritual and holistic guide to help caregivers feel happier and healthier, have more energy and time for themselves, sleep better, feel more relaxed and confident, and experience inner peace, despite the obstacles they face. 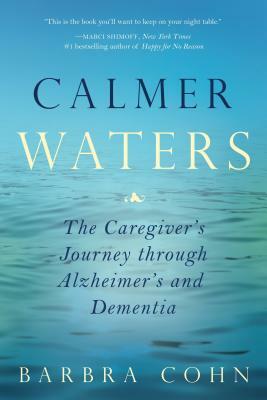 With pathos, humor and compassion, Calmer Waters includes the author's compelling life story, inspirational essays and rituals from spiritual leaders, stories from family caregivers and twenty healing modalities from renowned experts that can be practically incorporated into a daily regimen. An added bonus is that both care partners - the caregiver and memory-impaired individual - can use most of the healing modalities, allowing for a stronger connection between the two. Riveting personal accounts of the journeys that caregivers embarked on with their loved ones illustrate the challenging medical, financial, emotional and social roadblocks that accompany coping with Alzheimer's and Dementia. A rare blend of storytelling and practical and spiritual advice, this book offers an uplifting account of the strength of the human spirit, and a testament to the love and dedication of the 15 million Americans caring for a memory-impaired relative or friend.